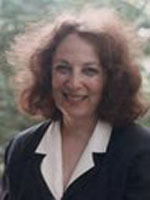 Joyce L. Epstein is director of the Center on School, Family, and Community Partnerships and the National Network of Partnership Schools, principal research scientist in the Center for Research on the Education of Students Placed at Risk (CRESPAR), and professor of sociology at Johns Hopkins University. She has over 100 pub­lications on the organization and effects of school, classroom, family, and peer environments, with many focused on school, family, and community connec­tions. In 1995, she established the National Network of Partnership Schools to demonstrate the important intersections of research, policy, and practice for school improvement. She serves on numerous editorial boards and advisory panels on family involvement and school reform and is a recipient of the Academy for Educational Development’s 1991 Alvin C. Eurich Education Award and the 1997 Working Mother’s Magazine Parent Involvement in Education Award for her work on school, family, and community partnerships. Her most recent book, School, Family, and Community Partnerships: Preparing Educators and Improving Schools (Westview Press, 2001), aims to add the topic of family and community involvement to courses for future teachers and admin­istrators. She earned a PhD in sociology from Johns Hopkins University.